Hear the title track from their Fire EP, out September 29. Punk rock trio Dream Wife make music that flips a middle finger to convention. On their latest single "Fire," the title track of a new EP, they sing of literal and metaphorical flames over the one-two punch of their blazing guitar riffs. 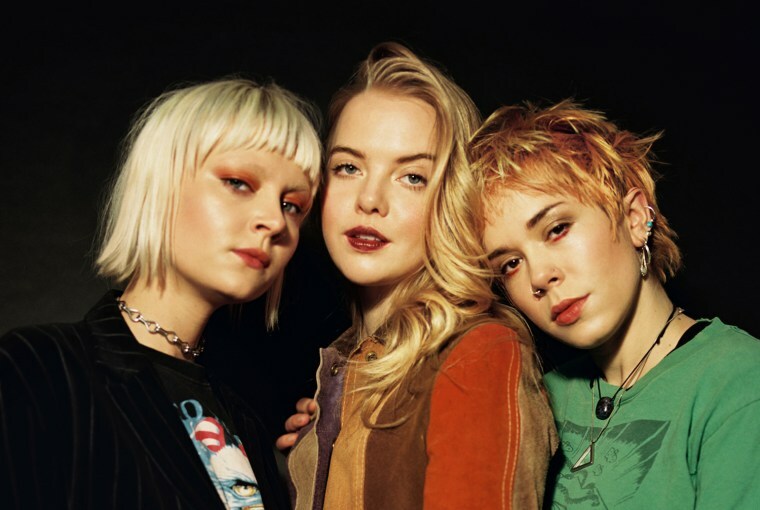 In an email to The FADER, they explained: "As a trio of fire symbols (Sagittarius/Sagittarius/Leo), we play with the inherent multiple meanings in our binding element, be that symbolic, metaphoric or physical. It's a song of explosive emotion: volcanic, eruptive, and reflective in turn. During moments of pure connection, a bolt of fire can be felt between people. The explosion begins; movement is electric, conversation erratic, and you become fully immersed in the moment. Thematically and tonally, we explore the paradox present in the symbolism of 'fire' as both a creative and destructive force." Listen below, and pre-order the Fire EP here.